Cooler Master has emailed HEXUS to announce two new gaming headsets. The new Cooler Master MH751 and MH752 are said to “focus on audio quality, mic quality, and comfort”. In addition to comfort, both headsets provide “superior audio performance”, multi-platform compatibility, omnidirectional detachable microphones, fold flat hinges, and “sleek styling”. For long lasting comfort Cooler Master has implemented swivelling earcups, plush cushioning, and lightweight construction. Bryant Nguyen, Cooler Master Peripheral General Manager, says that users can wear these headsets in comfort for “hours on end”. Both designs include omnidirectional boom microphones which are easy to position and reduce background noise for clear voice capture. They leverage 40mm Neodymium drivers for full, balanced sound. In-line controls are provided for quick convenience. Portability is an attractive quality for headsets and the detachable cable, detachable microphone, and fold-flat hinges make these headsets easy to pack away in their velvet carrying pouches. The Cooler Master MH751 and MH752 gaming headsets have a lot in common, as outlined above, but there are key differences, mostly down to the inclusion of an on-board sound card in the MH752. 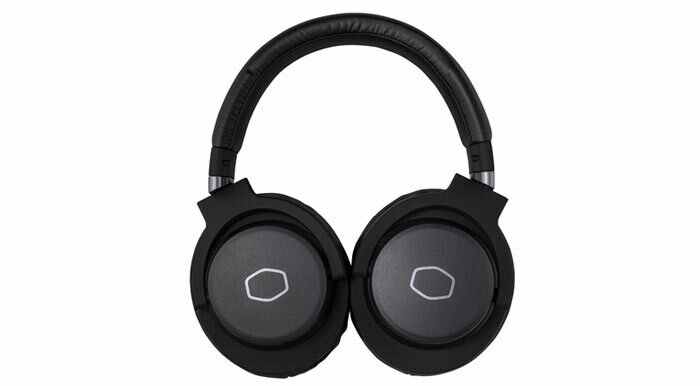 This more expensive gaming headset includes virtual 7.1 surround sound support and can connect via USB, as well as standard 3.5mm jack, to your PCs, consoles, and most mobile devices. A software suite can provide even more audio options with the MH752. Cooler Master said that the new gaming headsets will be available at selected resellers “within the next few days”. We are told that the MH751 will have an RRP of £74.99 Inc VAT, and the MH752 is £94.99 Inc VAT. Is the guy on the front page gaming? Virtual 7.1 support? Dont most motherboards have this software and sticking to 2 speaker support is always better? Don't think I'll ever go back to buying a build in mic headset, too often the built in mic is poor and often the whole set is heavy. Spending around £150 on headphones alone is worth it imo, then get a stand alone or attachment mic. Oh…. shall I chuck my Sennheisers and Beyerdynamics all in the bin, then? TBH, most headsets perform about the same, these days. My Steelseries Siberias are actually just as good as £400+ Sennies, with the only governor being my system sound settings….